Sponsored by Michigan State University and Buffet Crampon, U.S.A.
Sound production is at the heart of every successful performance and is key to consummate technical command. While there are different types of clarinet sounds which vary from French, German, British to American, there are key elements in a sound that are common to players of all regions and countries. 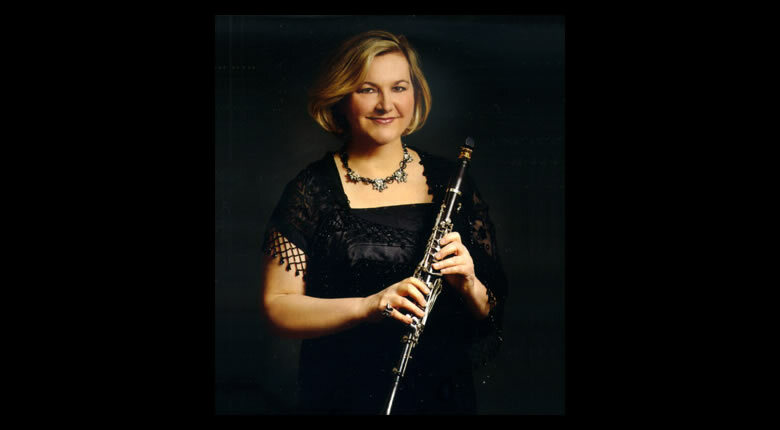 Every successful clarinetist is looking for a sound that is focused, clean, clear, even, rich, and has a warmness and depth that will resonate and project to the back of the hall. Most importantly, effective sound production will enable the performer to execute all technical elements with ease and aplomb. Without serious attention to quality sound production, the clarinetist has little chance of presenting a stellar performance that will achieve the ultimate goal…. communication of musical thoughts and ideas. This clinic is designed to demonstrate how technical deficiencies can be overcome by focusing on quality sound production. If the sound is produced efficiently and effectively, the result is excellent technique on all levels, including: finger facility, articulation, intonation, rhythm and most importantly, musicianship and expression. Embouchure- A functional embouchure is the basis for all aspects of performance and is “mission control” for the clarinetist. Embouchure influences all aspects of playing including sound, control, response and intonation. The major function of the embouchure is to facilitate the air stream and to prevent pinching and biting, thusenabling the reed to vibrate freely. Young players and even some advanced players use a direct pressure on the reed which will close the tip and keep the reed from vibrating…. creating the dreaded vise-like embouchure grip. This dreaded problem is a serious issue that diminishes sound control, function, tonal beauty and resonance. It also contributes to the lack of technical facility. If there is no wind, there is no sound. When students feel the sound diminish, they often pinch and bite rather than allow the wind to vibrate the reed. Ultimately, this causes a lack of tonal command and notes become smaller and smaller with less sustain and hold to the sound. This contributes to a medley of problems that may be masked as other playing issues such as lack of technical facility, poor rhythm (rushing), and tension in hands, fingers and body, to name a few. In a wide number of cases, the technical deficit is actually a manifestation of a tonal dysfunction. Embouchure Formation- The lips have one primary function and that is to seal the air and to serve as a cushion tocontrol the reed. They should never pinch, but should gently hug the mouthpiece. Lip pressure must be constantly regulated by the player, as too little or not enough pressure will diminish optimum sound production. Lip pressure is a necessary component for sound production and should not be confused with biting. Upper Lip- Should cushion and hug the mouthpiece firmly inward and forward. This prevents the corners from leaking air and will contribute to a focused sound. entire lower lip force its way into the mouth. If too much lip is in the mouth, the sound will become less resonant and the student will pinch and bite the sound out rather than producing it with air support. A good ratio to strive for is 1/3 of the red of the lower lip to be over the bottom teeth using the bottom teeth as a structure upon which to rest, enabling optimum vibrations. The corners- The corners provide major embouchure control and must be utilized effectively to prevent air from leaking and to keep the jaw relaxed. This helps to diminish the possibility of biting. Chin/V bone structure- Cheekbones and face come to one point and that is the chin. One can think of lengthening the face or opening the teeth slightly to achieve the optimum V bone structure position and flat chin. If students bunch the chin, it is difficult if not possible to maintain the correct tongue position. Often the chin is described as being flat. If it is too flat however, this can create tension in the lower lip and increase biting. The right thumb- Is also part of the embouchure and is important in balancing the clarinet. Its primary function is to keep the mouthpiece and reed firmly hugging against the lip. This requires a certain amount of pressure. This kind of pressure is necessary and is much different than the force of biting which is a destructive pressure in terms of achieving tonal resonance and control. d. Greater relaxation in the face and jaw muscles thereby creating a warm and round sound. j. Improves finger legato and lighter finger technique as it allows for relaxation of the facial muscles therebyreducing hand and finger tension. The lips must snuggle or hug in toward the mouthpiece, and beginners tend to let the lips sag and the pitch will sag/drop as well. Head position-keep erect allowing the air to flow freely. Beware of tipping the head down or having it too high which will create tension. Simply stay in natural position, chin parallel to the ground. Be sure music stands are adjusted properly as to encourage proper head angle. Balancing the instrument-hold with left hand head and body as well as right thumb. b. Root the body like a solid oak tree form the lower part of body, waist down. Proper upper to lower lip ratio-1/3 upper teeth on the mouthpiece to 2/3 lower lip. b. Finding the fulcrum of the mouthpiece-also known as the resistance curve of the mouthpiece, where the facing breaks away from the table. To illustrate this to a student, one can take an index card and insert it carefully behind the reed at the tip until it stops. This is a rough guide at best and can provide an approximation as to where the lower lip should be placed. Let the ears be the ultimate judge. Encourage students to experiment with physics of sound and physical changes which will train them to hear subtle timbre changes and nuances. F. How effective wind usage affects reed strength and mouthpiece selection and instrument resistance—Hold the Sound!! Articulation- Wind the tongue….don’t tongue the wind! Let the wind guide the tongue for optimum control…. when tongue is in correct position, articulation is easy! Rhythm/Tempo- Are they rushing or simply not sustaining the sound? working in syncronicity, the pitch will be accurate, speak on time, and tone will be full and round at the beginning, middle and end of note. 5. Tuning barrel, middle joint and bell is essential as the entire length of the tube must be measured equally. Voice and hear the pitch before it sounds! G. Encourage students to first play in tune individually and tune intervals and half and whole steps without extensive physical movement. Care must be taken not to move corners for every note in an effort to “work with” others. This is of course essential, but players must first find stability and control within their own sound and production. C. If the ear is well-trained in identifying outstanding quality sound, it will guide technical elements such as embouchure and articulation to develop properly and may bypass many grueling hours of inefficient and frustrating practice enabling talent to flourish and fully develop, making playing enjoyable….when students are having fun and are enjoying their sound….they readily improve and love to make music…a key element!!D. Encourage students to work on sound rather than find their own quick-fix solutions to playing problems, such as cheating with equipment or using an inaccurate reed strength that “APPEARS” to make playing “EASIER” in the short-run !! There is no substitute for solid sound production training! E. Once students understand the concept of sound production as it relates to their own personal physique and circumstances, they will become accountable for producing a sound that is healthy and consistent and will be able to go to the next level and find their own “unique voice” regarding sound quality. Most importantly, they will be free to develop high level musicianship….the ultimate goal! !